Spring is here and that means new growth both inwardly and outwardly. Hibernated energy begins to fill our body cells as we have the urge to spring clean, plant new seeds, and bring nourishment and life to the surface. The beautiful colors of nature are beginning to brighten our day and the warmth of the sun is melting away the cold. Ayurveda reminds us to create a connection with nature and to live harmoniously with her. Kapha season is here through May, which brings us the qualities of the earth and water elements. Naturally, we are stronger, well-nourished, feel a greater sense of love and the watery emotions and deep feelings fill our thoughts and hearts. We are more fertile and are able to give more. The days are longer and this is a great time of year to cleanse the spaces we occupy as well as our bodies. Kapha, which means “phlegm” is governed by two elements, earth and water and holds the the qualities (guna) of: moist, cold, heavy, dull, sticky, dense, static, smooth, and soft. Kapha gives us nourishment, stability, support, lubrication and makes up the bulk of our bodily tissues. It is located in the chest, throat, head, stomach, lymph, fat, nose and tongue. Kapha gives us emotional support and governs the watery emotions such as compassion, love, deep feelings, modesty, forgiveness and patience. As we become imbalanced during the Kapha season we may see symptoms such as loss of appetite, congestion, allergies, weight gain, water retention, lethargy, depression and attachment. As we learn to live harmoniously with the seasons of change, it is important to understand that like increases like and that opposites cure each other. So, how do we live harmoniously with the Kapha season? Kapha should only eat when hungry and take in a lighter breakfast and dinner. 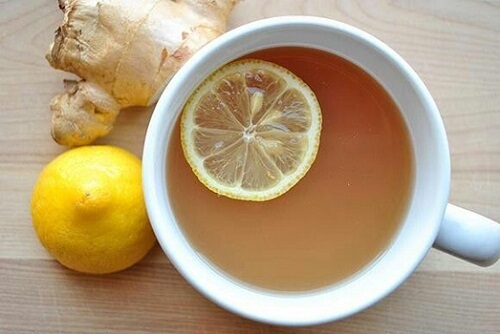 Drinking digestive teas such as ginger, tulsi, warm lemon water, or CCF tea will be beneficial for supporting digestion. Kapha is balanced by foods that have the opposite qualities; hot, dry and light as well as pungent, bitter and astringent tastes (rasa). This will stoke or raise the agni, digestive fire and will support natural cleansing. Foods to favor should be those that are well spiced and pungent such as black pepper, mustard seeds, fenugreek, cloves, anise, ginger, lemon and turmeric. Grains that are drier are beneficial such as rye, corn, buckwheat and my personal favorites, quinoa and barley! Astringent tastes can be easily found in apples, pears, berries and dried fruits such as cherries, raisins and prunes. Lean proteins are important and hold the astringent taste as well such as beans and lentils. Vegetables that are bitter such as Brussels sprouts, cabbage, broccoli, dandelion greens, chard, spinach, kale, arugula, asparagus, and collard greens should be the main serving on the plate. Foods to avoid are those that are heavy, moist and cold. This would include all dairy, ice-cream, milk, creamer, etc. Sweet and heavy fruits such as melon, bananas, papaya, dates and figs. All sweeteners, except raw honey should be avoided as well as heavy grains such as wheat, dense pastries, etc. Fatty meats should be avoided as well as peanuts, and an excessive amount of salt. Daily exercise is important for the Kapha dosha, preferably first thing upon risin g, during the kapha time of day (6am-10am) which will help keep you more energized and motivated during the day. Exercising outdoors where you can create a connection to the elements that are most comforting is beneficial. Exercise should promote sweating such as a brisk run/walk or sun salutations. If practicing yoga, the poses should be held for one minute longer than you think you can, Kapha’s need to be challenged. Incorporating weekly saunas can be an added benefit to induce sweating. To prevent feeling heavy and sleepy after meals, excess weight gain and to stimulate the digestive fire, agni,walk after your meals! This could be a simple walk around your office building after lunch or a walk around the block after dinner. Practice neti, nasal irrigation, daily upon rising to support excess mucous and congestion. Once the nasal passages have been cleared, a daily practice of pranayama is beneficial for increasing natural energy, it purifies, rejuvenates and invigorates the mind and body. It will help to reduce allergies, congestion, headaches and sluggishness as well as release negative emotions. There are many different types of pranayama techniques. The most beneficial for kapha is Kapalahbhati or “skull-shining breath”. Kapala, which translates to “Skull,” and Bhati, which means “light.” Kapalahbati consists of a series of forceful exhalations followed by passive inhalations. This is best if practiced in the morning. Sit comfortably in an upright posture with your spine straight, with your heart and chest open. Rest your hands on your abdomen or on your knees, palms facing down. If sitting in a chair, place both feet on the ground. Take a few deep inhalations and exhalations to connect with your breath and bring your awareness to your lower abdomen. Inhale deeply through both nostrils, filling your belly with air about ¾ way full. In a quick motion, contract your lower abdomen,or use your hand to gently press or force and expel all the air from your lungs while drawing your navel in toward your spine. The primary movement is from your diaphragm. Contraindication: Do not practice Kapalabhati if you are pregnant, if you have excess pitta dosha, have high blood pressure, acid digestive issues, heart disease, or abdominal pain. You should also stop or slow down if you feel dizzy, light-headed or anxious. 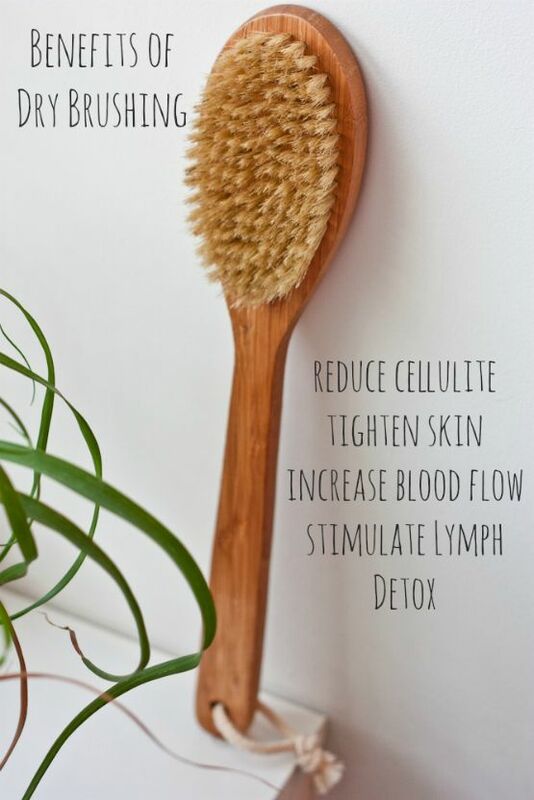 Abhyanga or dry brushing will support lymphatic movement, circulation and will invigorate the body. Light oils should be used such as almond or sunflower and only practiced a few times a week. Aromas that are stimulating and energizing such as lemon, bergamot, cinnamon, patchouli, eucalyptus, and ginger are useful in your abhyanga oil or to simply diffuse throughout your home or office space if sluggishness arises. Although sleep is important for healing and to rejuvenate the body, those that are predominately kapha should wake up with the sun, avoid napping during the day and snoozing in the morning. Lastly, lighten your space. One of the ways to keep kapha from accumulating is reducing the amount of clutter in your closets, drawers, pantries and the spaces you work and live in. In fact, this can support a healthy weight! The more you have, the heavier you’ll feel mentally and physically. So, lighten your spaces, less is more! I hope these will bring keep you light and lifted this spring season! Schedule a spring follow-up visit to keep you balanced and motivated!